The contemporary urban experience is defined by flow and structured by circulating people, objects, and energy. Geographers have long provided key insights into transportation systems. But today, concerns for social justice and sustainability motivate new, critical approaches to mobilities. Reimagining the city prompts an important question: How best to rethink urban geographies of transport and mobility? 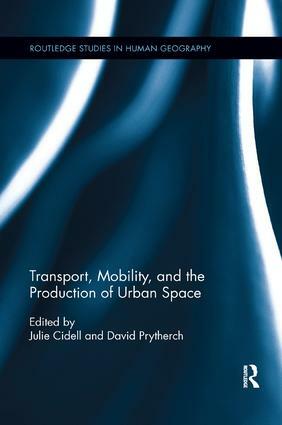 This original book explores connections – in theory and practice – between transport geographies and "new mobilities" in the production of urban space. It provides a broad introduction to intersecting perspectives of urban geography, transport geography, and mobilities studies on urban "places of flows." Diverse, international, and leading-edge contributions reinterpret everyday intersections as nodes, urban corridors as links, cities and regions as networks, and the discourses and imaginaries that frame the politics and experiences of mobility. The chapters illuminate nearly all aspects of urban transport, from street regulation and roadway planning, intended and "subversive" practices of car and truck drivers, planning and promotion of mass transit investments, and the restructuring of freight and logistics networks. Together these offer a unique and important contribution for social scientists, planners, and others interested in the politics of the city on the move.